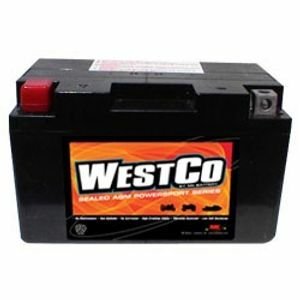 Good quality battery at an acceptable price. Tanya website is good and delivery prompt. Thank you! Excellent as always could not better for price and delivery time. Not yet fitted,but service excellent as always from Tayna. The product seems OK ( Time will tell ) You get what you pay for So I consider this product to be top of the range . Your advice !! It's a battery. Not much else to say! When charged, it started my bike. Really solid design and packaged well in delivery. 1 star off top marks for cost of delivery. The battery was delivered the next day, I had some questions about the battery that were dealt with quickly and efficiently. I have every confidence in Tayna Batteries. Very fast delivery, unfortunately did not have original item request in stock, but contacted and offered an alternative (at further cost). Good quality of goods. Would use again. Did exactly what it said. So far - good solid battery.